We’re so excited to be performing with Spike Mason for the launch of his new CD, ‘FLYING’ next Friday night. This is Spike’s 8th album in his “10 albums in 10 years” project. FLYING is a large-scale original composition which combines the broad sound palette of a classical ensemble with free melodic improvisation. 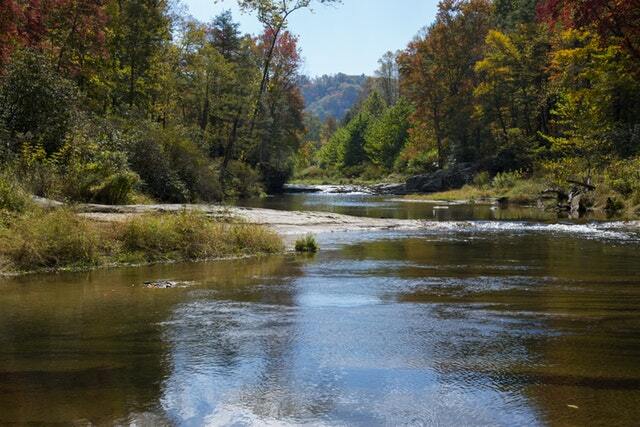 Check out this sneak preview. And here’s a few more details about the event and venue. Spike Mason and Sirius Chamber Ensemble will perform all of the music from the album. Ensemble musicians: Ian Sykes (clarinet), Melissa Coleman (flute), Alex Fontaine (oboe), Alison Evans (bassoon), Gareth Lewis (trombone), Vanessa Tammetta (violin), Luke Spicer (viola), Steve Meyer (cello) and Benjamin Burton (piano). There will be a Q and A with Spike about the music he composed for the album. Where: The Coote Theatre, The Scots College. Opposite 30 Victoria Rd, Bellevue Hill, Sydney. Tickets: $30 (cash at the door) with each entry you also receive the ‘FLYING’ album artwork flyer, the ‘FLYING’ poem and a download code for an MP3 copy of the album. Members of Sirius Chamber Ensemble will be performing a free lunchtime recital at St Stephen’s Uniting Church next Friday 12 October. A selection of works on this program will be performed as part of The Elements recital on Sunday 21 October 2018, 2:00 pm at Annandale Creative Arts Centre, 81 Johnston St, Annandale. 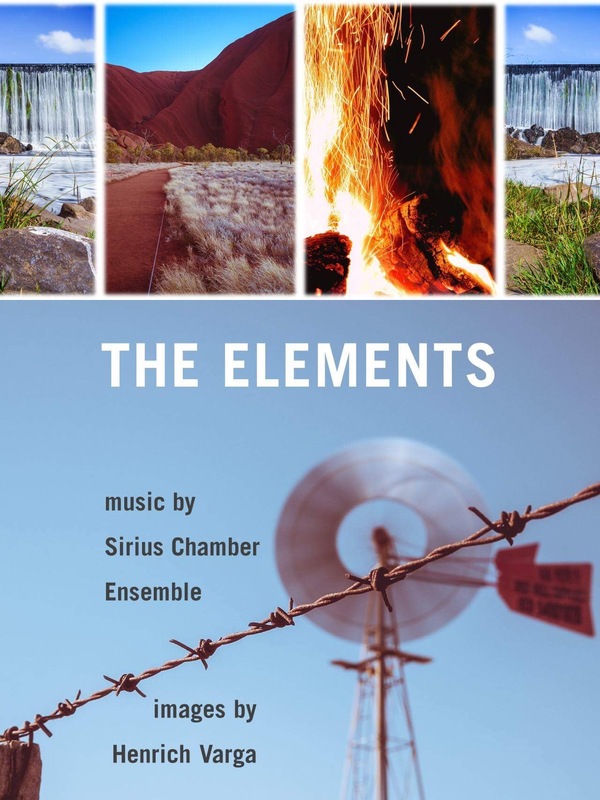 Can’t make it Friday lunchtime, then come along to The Elements recital to hear an all-Australian program of music inspired by the four Western elements of nature – earth, air, fire and water. Music will be accompanied by stunning images by Slovakian-born photographer Henrich Varga. Since ancient times, the four elements of nature – earth, air, fire and water – have inspired creative expressions by philosophers, poets, artists and musicians. Sirius Chamber Ensemble presents an all-Australian program of music inspired by these Western elements of culture, accompanied by stunning images by Slovakian-born photographer Henrich Varga. The selection of compositions and photographs reflect the impressions that these four elements – seen throughout the unique Australian landscape – has influenced Australian contemporary composers and their music making. Graeme Koehne. Time is a River (2010) for clarinet and string quartet is a moving tribute to his mother. The clarinet represents a persona drifting down a swirling, free-flowing river depicted by the four voices from the string quartet. Andrew Schultz. In From Fire Country (2003) a solo bass clarinet evokes the desolate landscape after destruction from fire. Eve Duncan. Aer Turas (Air Journey) (2018) for flute, clarinet and cello depicts how the distinctive quality of air in varying landscapes across three continents can have a fresh, uplifting experience of being in nature. Chris Wright. String Quartet (Premiere) will utilise the four instruments of the string quartet to depict all four elements. Nigel Butterley. The Wind Stirs Gently (1992), inspired by a poem by Kathleen Raine, is a free rhapsodic conversation between flute and cello. Gordon Kerry. Silver-Point (2000) for solo flute refers to the use of a silver wire to create a pencil-like drawing, and reminds us of the ways the earth – and the other elements essential to life – can be adapted to form art. Musicians: Melissa Coleman (flute), Ian Sykes (clarinets), Clare Kahn (cello), Vanessa Tammetta, Dominique Guerbois (violins), Lucy Carrigy-Ryan (viola). Halfway through last year it was our absolute pleasure to collaborate with jazz musician (saxophones) and composer Spike Mason on his CD project, ‘FLYING’. We are really excited to share that we are launching the CD on Friday 2nd November, 8.00 pm at The Coote Theatre, Scots College, Bellevue Hill. ‘Flying’ was inspired by a poem, written by the Tasmanian poet Di Adams, about someone waking up and realising that they can FLY! Originally from Sydney, now based in Tasmania, Spike composed this work while flying back and forth to work each week in Sydney. The composition is a sublime combination of composed music for chamber ensemble with interweaving improvised melodies played by Spike. Each movement portrays the changing landscape that one might see from flying high above. A talented and respected jazz musician in his own right, it was a first for Spike to write music down for a “classical” chamber ensemble. But what he has been able to achieve is a work of beauty with layers of sound and ethereal harmonies. Spike was fortunate to receive a grant from Arts Tasmania to fund the recording project. But we need some help to cover the production costs. You can support Spike through his crowdfunding page at Pozible. You can hear more from Spike about his inspiration for this project, on his CrowdFunding Video below. We really hope that you might be able to support Spike in recognition of local creative artists collaborating on a truly amazing work. There are lots of different pledge options available, including MP3 copies of ‘FLYING’ and tickets to attend the launch of the CD to hear this wonderful project live. We also thank our amazing musicians that play with us. Ensemble musicians involved in this recording include Ian Sykes (clarinet), Melissa Coleman (flute), Alex Fontaine (oboe), Alison Evans (bassoon), Gareth Lewis (trombone), Vanessa Tammetta (violin), Luke Spicer (viola), Steve Meyer (cello) and Claire Howard Race (piano). In our upcoming Meet the Composer concert, we will feature two Melbourne based composers, Eve Duncan and Dr Houston Dunleavy. In this post Houston discusses each of his compositions selected for this programme. Houston Dunleavy holds a PhD in composition from the State University of New York at Buffalo, a Master of Music in composition and a Master of Music in Choral Conducting from the Cleveland Institute of Music. He has held positions in Composition at the University of Wollongong, the Australian Institute of Music (Head of Composition and Production) and The Australian National University. His music has been performed in many countries and he has been guest artist as composer or conductor at over 30 Universities and international festivals. He has conducted over 40 operas and music theatre works, including new works, and has conducted a wide range of choral and instrumental works. In addition to being Academic Director of The Australian Guild of Music Education, he performs with his group “Third Rail”, is Artistic Director of The Southern Cross Philharmonia Orchestra, and Director of Music at St. Oswald’s Anglican Church, Glen Iris, Victoria. Where: Christ Church Lavender Bay, corner of Walker and Lavender Streets, Lavender Bay, NSW. Tickets: $30 Adults, $20 Concession, $10 Child available at https://www.trybooking.com/ULQY or at the door. Our annual Meet the Composer concerts have become increasingly popular as an informal way to hear new music and to learn from the composers themselves about what influences their music. This year, Sirius Chamber Ensemble are delighted to have Melbourne-based composers, Eve Duncan and Dr Houston Dunleavy to discuss their work alongside performances of a selection of their compositions. In this post, we introduce Eve Duncan and her compositions selected for this programme. Eve Duncan has won distinguished awards, including the International Music Prize for Excellence in Composition (Greece), Recital Music Double Bass Composition Competition (England) and the International Modern Music Award for Composition (Vienna). She received her Doctor of Creative Arts (Western Sydney University) with Bruce Crossman and Clare MacLean, Masters in Music (University of Melbourne) with Brenton Broadstock, and Honours in Music Composition (Latrobe University) with Anthony Briggs. Sirius Chamber Ensemble previously premiered a new arrangement of Eve Duncan’s Madonna and Child with Goldfinch (2008) for soprano, flute, clarinet, violin and cello in 2015, as part of a programme of music by Sydney composer Alan Holley. Based on a poem by David Malouf, Madonna and Child with Goldfinch, and inspired by the Italian, Renaissance painting, portends an apocalyptic future, saturated with media melancholia and global warming. Words that reverberate still ten years on. The sublime soprano, Taryn Srhoj returns to Sirius for this performance. Alexander’s Elements for flute, clarinet and bassoon is inspired by Alexander the Great. Through his travels he introduced the Hellenic teachings to Egypt and India, including aspects of the elements in relation to the human. For example, the elements within man include earth in bones, fire and water in the heart, blood circulation and other bodily fluids, and air in breathing. In our next post, we will introduce Dr Houston Dunleavy and his selection of music for this programme. Contrary to a previously advertised post about the Brahms’ Horn Trio, Op. 40, we would like to inform a change in soloist for this performance. Due to unforeseen circumstances, Michael Wray is unable to perform with Sirius Chamber Ensemble, however, we are delighted to announce the performance will be given by SSO fellow horn player, Aidan Gabriels. In 2012 Aidan began a Bachelor of Music degree at the Western Australian Academy of Performing Arts (studying with Robert Gladstones). In 2014 he moved to Brisbane, where he continued his degree, and in 2017 he joined the Australian National Academy of Music program in Melbourne. Aidan has played with a number of Australian orchestras, including the West Australian, Queensland and Melbourne symphony orchestras and the Camerata of St Johns Chamber Orchestra. A long-term member of the Australian Youth Orchestra, in 2016 he toured with the orchestra to Europe and China, performing in some of the world’s most renowned concert venues. Aidan Gabriels will perform the Brahms’ Horn Trio, Op. 40 with Angela Cassar (violin) and Benjamin Burton (piano) as part of our Songs My Mother Taught Me concert on Saturday 12th May, 6.00 pm at Christ Church Lavender Bay. Tickets available from www.trybooking.com/ULQX or at the door. Antonín Dvořák is arguably the second most notable composer from the Czech Republic, after Bedřich Smetana, to reach worldwide acclaim. Both are well-known for their nationalist style and employment of folk music in their compositions. Originally written for voice and piano in 1880, “Songs my mother taught me” is the fourth song from Gypsy Songs, B.104, Op. 55. It has become one of the most popular and often performed songs from the seven-song cycle. Such is the popularity of the song that in addition to being frequently recorded by a number of well-known singers, there have been numerous instrumental arrangements regularly performed and recorded by musicians including Fritz Kreisler, Julian Lloyd Webber, Yo-Yo Ma, Itzhak Perlman and Joshua Bell. Given the cello’s naturally lyrical and emotive qualities it is particularly well suited to take on the vocal line in the song. The Gypsy Songs were composed around the same time as Dvorak’s Slavonic Dances (1878-1886). The original version for piano 4-hands, sold well, and the series of 16 orchestral pieces (Op. 46 and Op72) raised Dvorak’s international reputation. “Songs My Mother Taught Me” demonstrates all of Dvorak’s supreme talent for combining nationalistic folk influences with romantic, lyrical melodies. Now I teach my children each melodious measure. This work will be performed by Clare Kahn (cello) and Benjamin Burton (piano) as part of our Songs My Mother Taught Me concert on Saturday 12 May, 6.00 pm at Christ Church Lavender Bay. Tickets are available at www.trybooking.com/ULQX or at the door. Fitting our program featuring music dedications to mothers, is the chamber work Time is a River by Graeme Koehne. Written in 2010, this work for clarinet and string quartet is a moving tribute to his mother. Graeme Koehne (b. 1956) is Professor of Composition at the University of Adelaide. He has been recognised for his contribution to Australian music with prestigious awards, including the Australian Government’s Centenary Medal (2001) and the Sir Bernard Heinze Award from the University of Melbourne (2004). He has long been a popular Australian composer with his repertoire for orchestra especially, having been performed world-wide. Koehne also arranged Time is a River for solo clarinet and orchestra, which is featured on the CD Time is a River recorded by Paul Dean (clarinet) and the Tasmanian Symphony Orchestra (ABC Classics, 2015). The work was commissioned by Anne Arcus, Terrey Arcus for performance by Musica Viva Australia. This work will be performed by Ian Sykes (clarinet), Vanessa Tammetta and Sonia Wilson (violins), Lucy Carrigy-Ryan (viola) and Clare Kahn (cello) as part of our Songs My Mother Taught Me concert on Saturday 12 May, 6.00 pm at Christ Church Lavender Bay. Tickets available at www.trybooking.com/ULQX or at the door. Along with our theme of dedications and mothers, Becky Llewellyn’s quartet, Berceuse, offers an intimate lullaby of reflection, a glimpse of a moment shared between mother and child. Becky Llewellyn (b. 1950) grew up in Minnesota and migrated to Australia in 1969. She began composing in the mid-1980s and studied composition with Graeme Koehne at the Adelaide Elder School of Music. As well as her composing career, Llewellyn was a special education teacher and disability access consultant. Her works for chamber ensemble, orchestra, choir, and solo instruments have been performed widely in Australia, the US and UK. Berceuse, or lullaby, was composed by Llewellyn in 1989 when her grandson was born. The inspiration also came from Llewellyn’s memories of herself nursing her own children whilst watching the moon setting over the sea. The quartet is scored for clarinet, violin or viola, cello and piano. The work evokes a sense of calm rocking – the ebb and flow of the tide against the beach. Llewellyn has paired 3-8 and 4-8 time signatures to create the sense of an irregular wave pattern. The lullaby melodies are set to a simple circle of fifths progression and sparse texture to allow the four voices to come through individually – rising and falling. Berceuse, and other works composed by Llewellyn in the 1990s, feature on the CD Milerum’s Basket(Move Records, 2002). Berceusewas commissioned by Grahame Dudley for performance by Lights New Music Ensemble, who premiered the work on 20 July 1990 at Little Theatre, Adelaide University. This work will be performed by Ian Sykes (clarinet), Lucy Carrigy-Ryan (viola), Clare Kahn (cello) and Benjamin Burton (piano) as part of our Songs My Mother Taught Me concert on Saturday 12 May, 6.00 pm at Christ Church Lavender Bay.